Go splashing into the water here, clamber around there, meet the funny animals of the forest and hear about the mysterious figures allegedly living between lakes, trees and mountains. 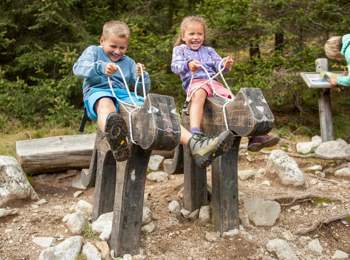 If kids should enjoy hiking, the chosen tour absolutely don’t have to be boring! 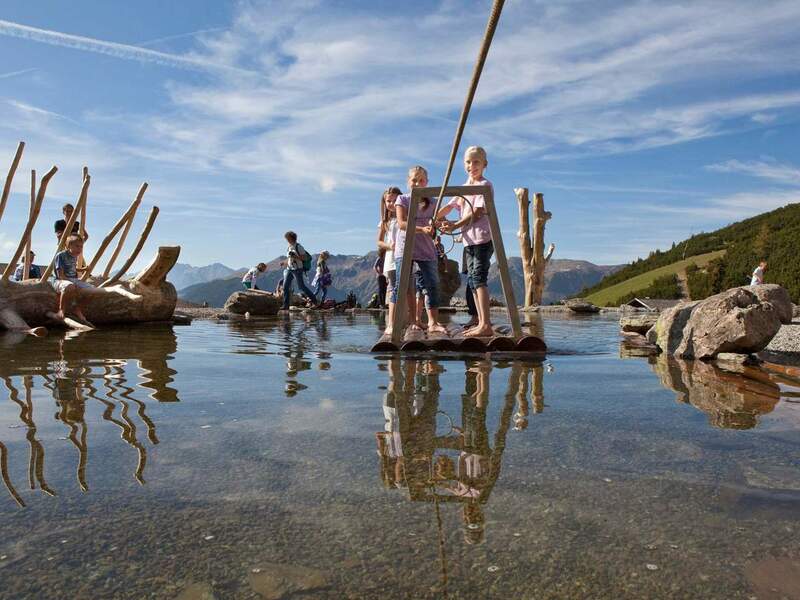 If you go for the “Urlesteig” path in Sarntal, you surely don’t have to fret about boredom, because the nature experience path, which will be opened in summer 2012, is a huge adventure playground for young (and older) keen swimmers, climbers and natural scientists. 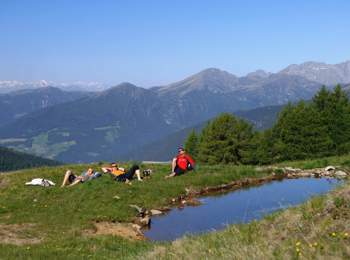 The name of the trail derives from the so-called “Urlelockn”, two small lakes at the side of the path. The “Urlesteig” path is located in Reinswald at the end of the valley, rather in the local skiing and hiking area. There the cableway is working also during the summer month in order to take visitors quickly up to the mountains, where they can do numerous tours or just enjoy the mountain air and the sun. The mountain station Pichlberg at 2,130 meters above sea level is the starting point of the “Urlesteig” path, too. It comprises six different stages, so that families can choose the right one according to how they feel like it – from short strolls to long-lasting rambles. Some stages are even accessible to prams. 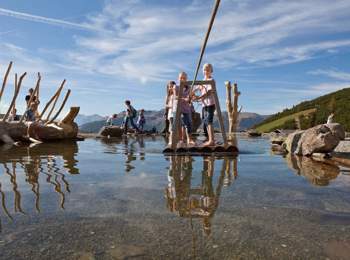 The first part is accessible to prams and leads from the mentioned mountain station to the Pfnatschalm hut (about 20 minutes on foot), where the topic water is the centre of attention. 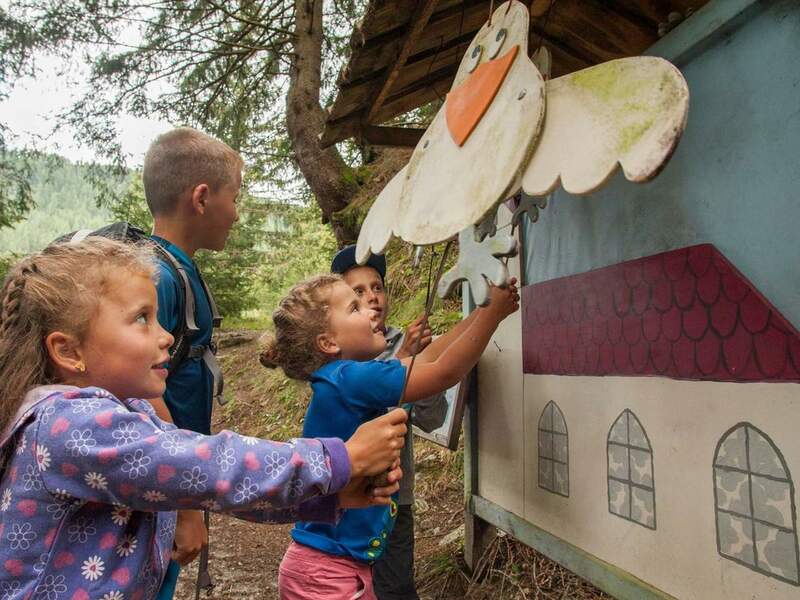 Here, kids will already ask you to stay for a while in order to follow the watercourse, to turn the water wheels, to cross over the pond on a raft or to splash about. Nevertheless, it would be definitely rewarding to follow up the “Urlesteig” path. The next stage goes slightly downhill to the Sunnalm hut (about 30 minutes). On the way, charts provide interesting info about the animal kingdom of the region. 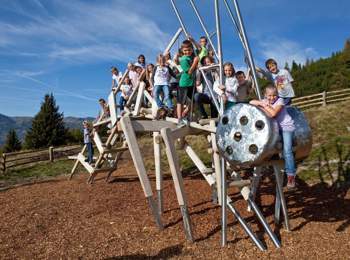 Moreover, a gigantic dragonfly made of wood and metal invites for clambering and playing. Below the Sunnalm hut, you’ll finally find also the eponymous “Urlelockn” ponds. Legend has it that once there was a bewitched lake. Another part of the “Urlesteig” path is located between the mountain station Pichlberg and the Getrumalm hut. 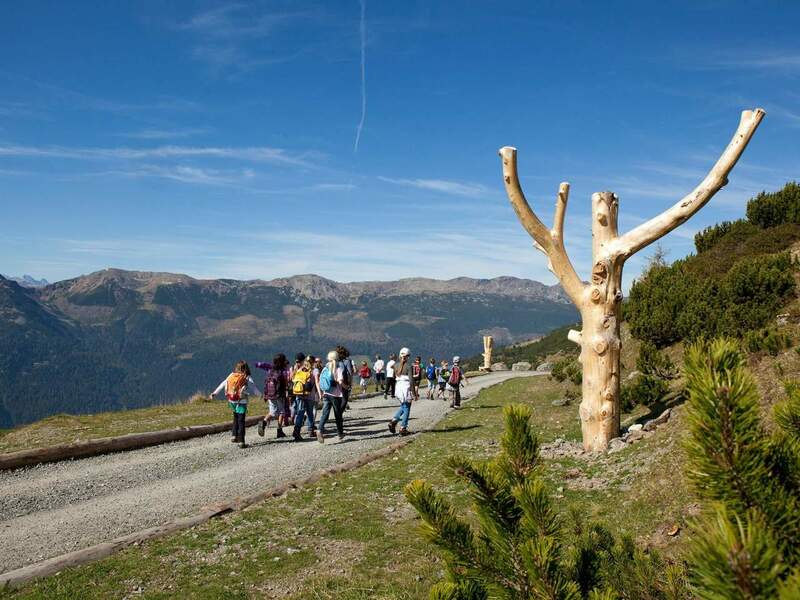 The 60 minutes long stage allows you to learn everything about Sarntal Valley – from the agreeable effects of the local mountain pine to pastures and mines. Highlights are the labyrinth of pines and the tales by the shepherds. From Getrumalm hut it goes slightly down (about 1 hour), along the shores of the crystal-clear Getrum river to the “Kehren” bends. This stage is dedicated to the typical flora of Sarntal Valley. A chapel made of mountain pinewood invites you to relax and reflect. Another stage (about 1 hour) goes from the “Kehren” bends to the mills of Reinswald and is dedicated to the forces of nature, which can rise from a wild stream. From the mills it will take another 10 minutes to get back to the valley station. The last stage is accessible to prams and is a walk of 25 minutes from the new playground near the valley station of Reinswald cableway to the mills. 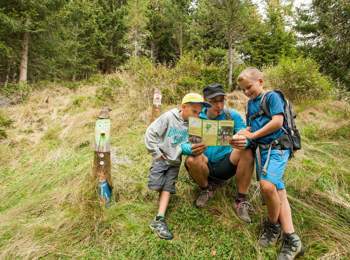 Walking along the “Urlesteig” path you’ll pass many picnic sites, rest areas and playgrounds. 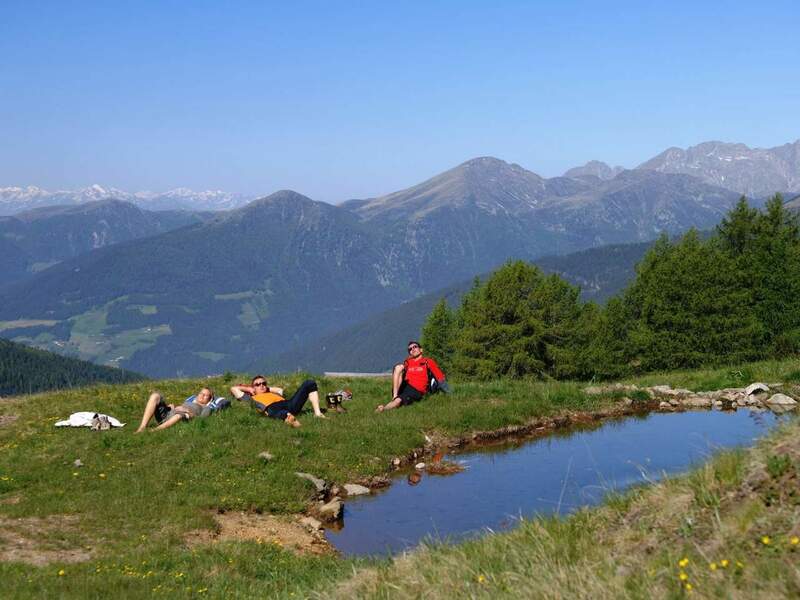 Beyond that most of the alpine huts are open to hungry and thirsty hikers.